Cleaning a house or doing chores is usually not top on our list of enjoyable activities. It's much more fun to go on a picnic, take a hike, binge-watch a favorite show,or visit friends. Since everything in life is a balance, it's okay to leave a few dust bunnies under the bed for a week or so, but there are some bad cleaning habits that you should break because they are actually ruining the value of your home. If these tasks are not done regularly, your home's value can deteriorate, and remedies and repair costs can be extreme. A small drip in the kitchen sink, a slow-draining bathroom sink, and a toilet that runs continually can all be irritating. They don't seem to be a big problem, but they will be if you don't attend to them promptly. Clogged toilets and pipes can overflow or burst. Small puddles from leaks can encourage mold and rot away wood flooring and support beams. Regularly clean sinks and shower drains to remove hair and grease clogs. Listen carefully for running water or drips inside and outside your home. Many small plumbing issues can be resolved with just a few tools and materials. If you're not handy, call a plumber. Most air filters inserted in furnace and air conditioning system return vents cost around five dollars. Replacing an HVAC system for a 2,000-square-foot home costs around $4,000 dollars. Which one would you choose? Allowing circulating air and return vents to become clogged with dust taxes the system and can cause it to fail. 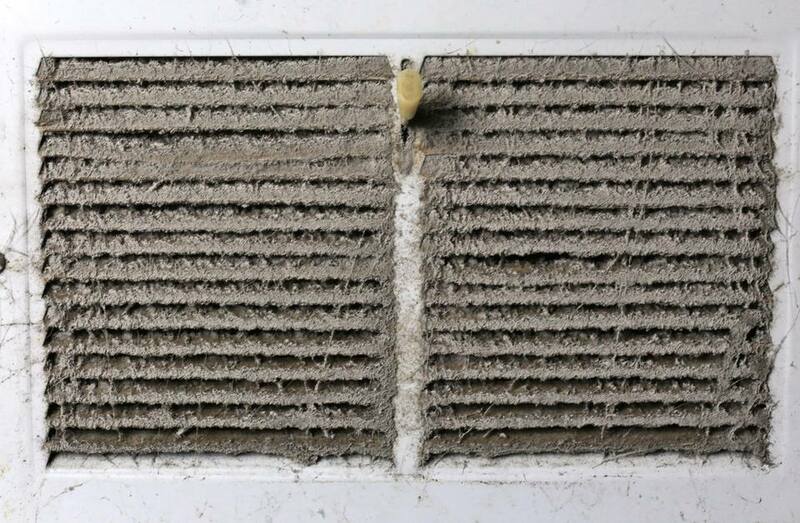 Vacuuming the vents monthly and replacing the filter takes less than 15 minutes and will protect the system and improve the air quality your family breathes. Vacuum heating and cooling system vents monthly and replace the air filter as directed by your HVAC specialist. Kudos for cleaning but not all cleaning is good if you are using the wrong products. Harsh chemicals can strip off protective finishes and some cleaning products can build-up and ruin what you're trying to keep clean. For example, using an acid-based cleaner, even distilled white vinegar, on marble countertops can etch the stone. This is not reversible unless you have the stone ground down, which is quite expensive. Or, using liquid or paste floor wax on laminate or wooden floors sealed with polyurethane will leave the finish looking dull and dirty. Stripping away that wax can actually damage the factory-applied sealant. Read the labels on every cleaning product and take the time to learn manufacturer and expert opinions on how to care for different finishes. We all have clutter and sometimes allow it to gather until it seems a daunting task to ever get organized. Not being able to find your favorite shirt is one thing but allowing clutter and garbage to accumulate in excess provides the perfect haven for rodents, roaches, moths, spiders, and fungus to thrive. Now that lost shirt doesn't seem so bad. Empty trash cans that contain food waste daily. At least seasonally, sweep through living and storage areas to get rid of paper, especially cardboard. Monitor every area for insect and rodent activity and treat accordingly. While any cleaning is usually a step in the right direction, not finishing the task can also cause problems. Some chores can be done in small steps, like removing clutter, others must be started and completed in one process. For example, when you treat stains on carpets, you must finish the chore by blotting or rinsing away all of the cleaning solution. Leaving soapy residue in carpet fibers will cause the carpet to attract more dirt and look even worse. Learn the steps for each household chore before you begin and plan your time accordingly for the best results for your efforts. Nearly every electronic device emits alerts and beeps. Some are helpful, many are annoying, some can be ignored, and some can even save your life. Ignoring beeps from smoke and carbon dioxide detectors that need a battery change can be a fatal error. The damage from even a small kitchen fire can run into thousands of dollars and can be life-threatening. Regularly change batteries in home protection systems and, following the manufacturer's instructions, update as needed. I'll bet that you haven't given your clothes dryer or kitchen hood venting system a thought in quite some time. These everyday workhorses carry away moisture, lint, cooking odors, and grease particles each time you use them. When was the last time you cleaned them? Forgetting these hidden systems can result in fires and extensive damage. Make a note in your phone or calendar to schedule regular cleanings. There are always things to be done when you are responsible for both indoor cleaning and outdoor areas. Some things are simply unsightly, like weeds in the lawn or muddy concrete patios. Others, like gutters clogged with leaves or pine straw, have the potential to cause damage to your home and lower its value. Overflowing gutters lead to moisture problems, roof damage, and pest issues. At least seasonally, walk the outside of your home and make a list of chores that should be done. Then do them or hire some help.